My girls love it when I serve Baked Potato Bar! That would be a baked potato with fun toppings for them to add to their taters. This is a great dinner time meal to get picky eaters involved in choosing the choice of toppings you have out for them. 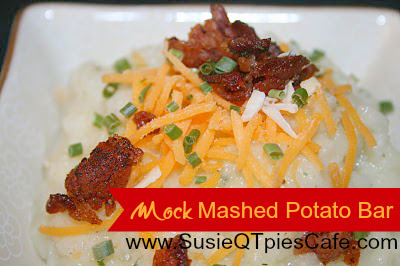 The recipe today is for Mock Mashed Potato Bar! This involves cauliflower, cooked and mashed like mashed potatoes and then offering fun toppings to be added! (Low Carb dieters dream side dish) This recipe was a huge hit even by the girl who doesn't like "fake mashed potatoes." She is the one who helped me make this dish. I love getting kids involved in in the kitchen! It is great for bonding, reading, math, and self-survival skills! Cook (boil or steam) the cauliflower until it is fork tender (approx 20 min). Let it sit in the colander to drain at least 15 min so all the water can drain out (shake it several times). Put in food processor/mixer and mix all the above ingredients until mashed potato smooth. Have you ever made mock mashed potatoes? Leave a comment and share your recipe! I love ordering products off the internet. We live in a small town and my choices are often limited. A few days ago I found, Growing Tree Toys. They have a lot of educational toys. One of the games that I found was, Skeletons in the closet! This is on my wish list of games to get for homeschooling. 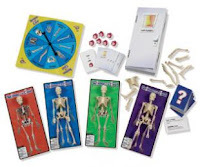 I would love to have this game to work on the names of the bones and bone functions with my daughters. They also carry a lot of baby toys and toddler toys. Can you say birthday presents for the nieces? Oh yes I love finding fun stores like this online! They also have DEAL OF THE DAY! It is an item that is heavily discounted in limited amounts! They have a counter right on the page as to how many of those items are left for the day. Go explore! Come back and tell me something fun that you found on their site! Aslan has a new baby sister! Come see us here, too! This review was written by Stan Lemon. When the iPhone came out I envisioned it being the ultimate tool for developers and e-professions, I never envisioned it would become a really cool tool for little ones as well. The number of emerging children's books and games geared toward children coming out for the iPhone have opened a completely new use for this great little device. I admit that for a couple of years while developers were cranking out kid-oriented apps for the iPhone I mostly ignored them. Having a daughter though, they're now on my radar. A book I recently tried out was "Round is a Mooncake" (found here http://itunes.apple.com/us/app/round-is-a-mooncake/id348857397?mt=8) from PicPocketBooks or on twitter @PicPocketBooks . This is a neat little book that emphasizes shapes while bringing in an element of Chinese culture as well. The implementation is pretty straight forward, each page of the book is a screen and there is a young narrator who reads the book to the user. While reading the book the text for that page is highlighted when the narrator reaches a word. The latest version of the app includes some interaction where the user can touch various things on the page and cause them to make sounds. There are some areas where I could see this app improved. First, the splash screen does not need to pop up everytime I open the app. The first time should be sufficient. Second, the book does not resume where left off, so in the event I get a phone call in the middle of reading I have to navigate back to where I was when I return to the app. Third, the navigation controls for this book are either auto or manual, not both like some other children's book apps I've seen. It would be nice if it ran automatically by default but I could advance as needed with swipes. The navigation isn't even really swipe activated, only displaying the navigation is. The navigation bar is, in my opinion, a little small to be utilized by someone with uncoordinated hands. All in all this type of app is great, especially if you've got kids! :) I'd recommend the $2.99 purchase just for the ease of use and quick accessibility of having a fully interactive children's book in your pocket. *Check out Moms With Apps for their free Friday App giveaway! I now have a new author that I love, Renee Riva. She writes humorous stories with a message, for both children and adults. Having been raised in a large Italian family with a great sense of humor, she has much to draw from for developing quirky characters. She shares her secrets for story starters at Young Author events, helping to spark the imagination of young minds. A former greeting-card verse writer and popular speaker, Renee has two published picture books for children, and a trilogy for general audiences, ages 12 to one-hundred. Renee and her husband live in Richland, Washington, with their three daughters, a dog, a cat, and a baby box turtle named Buster. 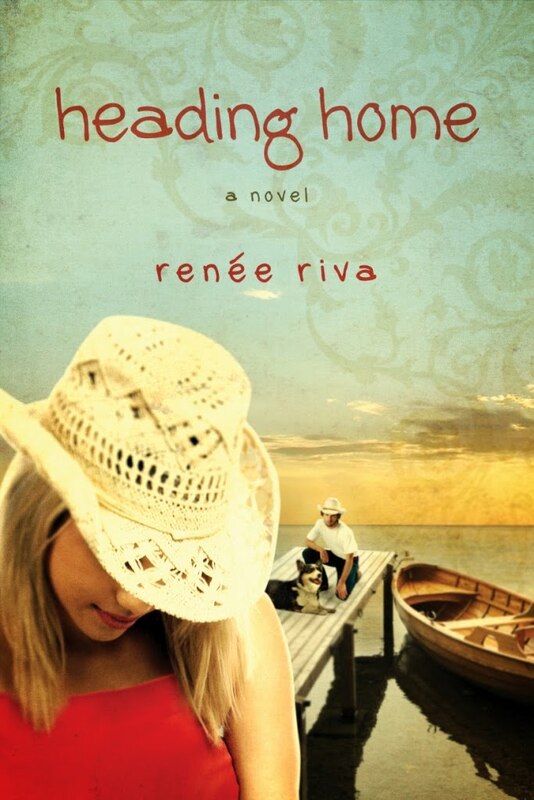 Here is a video snippet of her book, Heading Home. Heading Home, by Renee Riva from David C. Cook on Vimeo. HEADING HOME is here! Book three in the Saving Sailor trilogy. A.J. finally makes it back to Indian Island at age 18 to attend veterinarian school...and guess who owns the island? A.J. 's childhood friend, Danny, who is now 21 years-old, and planning to turn Indian Island into a summer Youth Camp. But he's in for quite a surprise when he tries to convince A.J. to be part of his plan. Through some hilarious twists and turns of fate, the once quiet island paradise turns to utter chaos when the Italians, Greeks, and Southerners all descend upon its shores together! I loved this book! The content of the book is such that a young adult could read it as well as adults. I love a book that I can read and let my teens read, too. Renee shows great respect for family values and what is proper behavior between a man and woman before marriage. We've all heard the cliche that "home is where the heart is" and that is made clear in this book. Home is where your love is and I loved learning about the love between A.J., Danny and their families. They both shared a history together as friends and then A.J. moved away with her family for 8 years to Italy. During that time, Danny kept her dog, Sailor, and they both exchanged "snail mail". This was all before text messages, email and Facebook! This was book three and the end of the series. I was hesitant in reading it before reading the first two book. I don't like reading out of order. Time was an issue so I jumped in and read! I was able to keep up with the story line. She fed in the story line of the past books but not so much that I couldn't follow the story. A.J. returned to her U.S. home with plans that were different than Danny had expected. Together they worked through their dreams, dealt with many quirky family issues and in the end, family triumphed! This book gets my first ever "warm and fuzzy" award! Thanks to B & B Media Group, Inc. for sending me the book to review. The words expressed on my take of the book are all my opinion. Outlet shopping at its finest! Coupon savings for you! Outlet shopping is so much fun! My favorite store to hit at Outlet Malls is the Kitchen store! 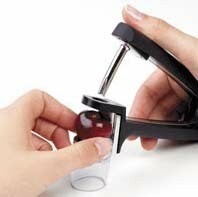 I go crazy at all the very cool gadgets that you can find and the deals on regular household items. Here are some of the must have fun gadgets that I've seen at Outlets! I also love clothes shopping for my daughters. It is so fun to find a pair of pants or shoes that actually fit one of my daughters and then buy every color possible! My husband loves the book outlet store and usually hides out there while I shop the other stores. Do you shop at Outlets? What are your favorite stores and best finds? I have two exclusive TwitterMoms discount codes for you to use during your next shopping trip that are good through May 10, 2010 for Gap Outlet and Banana Republic Factory Store. Gap Outlet is offering up to 50% off on select Summer Styles from April 23 until May 6th! Banana Republic Factory Store is offering up to 50% off all women's clothes from April 30 until May 19th! Thanks to my membership at TwitterMoms I found out about these coupons! I wrote this blog post while participating in the TwitterMoms and Gap Outlet blogging program to be eligible to get a $20 gift card. For more information on how you can participate, click here. I received this book to review a month or so after getting our first kitty, Aslan. Our prior experience with pets involved fish that always seemed to die. I think that I kept the tank too clean. 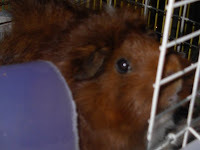 From there we moved on to adopting a guinea pig when my oldest girls were in 2nd grade. Maisy, was her name and playing was not her game. She was a biter. We tried loving her but she wasn't having it. We cared for her anyhow! Someone suggested getting her a friend. So we bought another female, Daisy. Maisy seemed to take on the mothering roll with her and became a tad more friendly toward us. Daisy was loving and we enjoyed taking her to on car trips once Maisy died. It was sad when Maisy died, we cried and had a funeral in the rain. Daisy died almost 2 years ago. We really cried then and I think it rained on her funeral, too. The kids always wanted a dog but their dad did not. We never thought about a kitty because of allergies. In December, we got Aslan, the kitty. He is so spoiled and loved. I read this book from cover to cover. I wanted to see what it was like to parent with pets. Pets bring on responsibility. If a family decides to get a pet then they need to work together to care for the pet. Getting a pet is never anything you should do on an impulse. 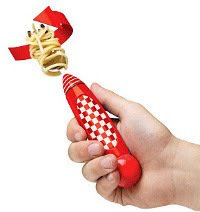 It isn't a quick fix toy to make someone happy. It is a responsibility that follows everyone in the home. We did get our kitty on impulse. He showed up in our home during our Christmas Open House. Everyone thought that he was ours. We kept him. He was home. It was as if we had adopted a real child. We took him right away to the doctor and cared for him as a family member. He has given back to us 10 fold in love. Pets are said to have a mental and physiological impact on those in their home. The book also said that a study was done that showed that for just a few minutes cuddling a pet it can relieve more stress than talking to a friend or a . Now that we have a kitty, I do have to say I agree. I can now see why some classrooms have pets. We homeschool and love having a ''classroom pet''. Animals are loving and accepting. They are there for you to talk to, confide in and will not judge you. The book clearly stated the role of a pet in the changing child through their developmental years. A lot of time and attention was done in this chapter. If you have young children you will love this chapter. Pets help with tolerance, sexual development, communication and healing during sickness and grief. Are you concerned with what pet to purchase? The book carefully buying a new pet, easy starter pets, pets that need more care to pets that need the most care. I was very surprised at what was on these list and for what reason. Do you ever wonder what the start up cost, vet bills, and time commitment needs of a pet you are thinking to purchase? The authors have done their research, the hard work has been done for you and it is in this book! Last but not least they have included information on your pets and your outdoor space! I would have never given this a second thought. This book is very well written and worth reading if you are thinking of getting a pet or already have one. This would be a great book to have at any library! I'm going to recommend it to our library. To enter- Tell me one thing about about our pet or one pet that you would love to have! 1) One entry for each one of these you do or have done. Make sure to leave a separate comment for each one! Look to the right side bar to find these things- Follow my blog, Follow me on Twitter, Like me on Facebook, Follow on Networked blogs, Follow my RSS Feed. 2) Comment on any of my other blog post and or enter any other of my giveaways for 2 extra entries each! Unlimited! Leave a separate comment here for each one you do! 3) I'd LOVE to see a picture of your pet! Follow me on Facebook - http://bit.ly/SusieQTpieFB and upload a picture on my wall of your pet or a pet you want! 10 entries for doing this. 4) Tweet the giveaway for 2 entries per tweet! Unlimited times to tweet! Leave link in comments. "Enter to win Parenting with Pets! http://bit.ly/GetaPet #pethealth #giveaway "
Thanks to ThePRPlace for giving me the review opportunity. Thanks to the author for sending me a book to review and offering one as a giveaway for my readers. From BBC- This jaw-dropping, 11-part series from the BBC’s Natural History Unit presents the epic story of life on Earth. Series producer Alastair Fothergill and his team spent four years in production, over 2000 days in the field, using 71 cameramen filming across 204 locations in 62 countries to capture the ultimate portrait of our planet. 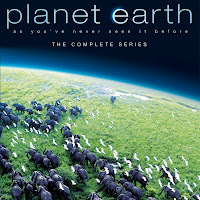 It has garnered legions of fans and universal critical acclaim with Oprah Magazine saying “It is the most beautiful, wondrous and truly majestic series - the best thing I’ve ever seen on TV.” Using a budget of unprecedented proportions and captured on HD cameras, Planet Earth is among the highest rated and best selling HD programs ever made. It offers stunning visuals perfect for any HD television or HD handheld device like the Apple iPad which launched on April 3rd. The BBC Natural History Unit has been producing extraordinary programming for over 50 years, and continues to take viewers to new and exciting parts of our Earth. 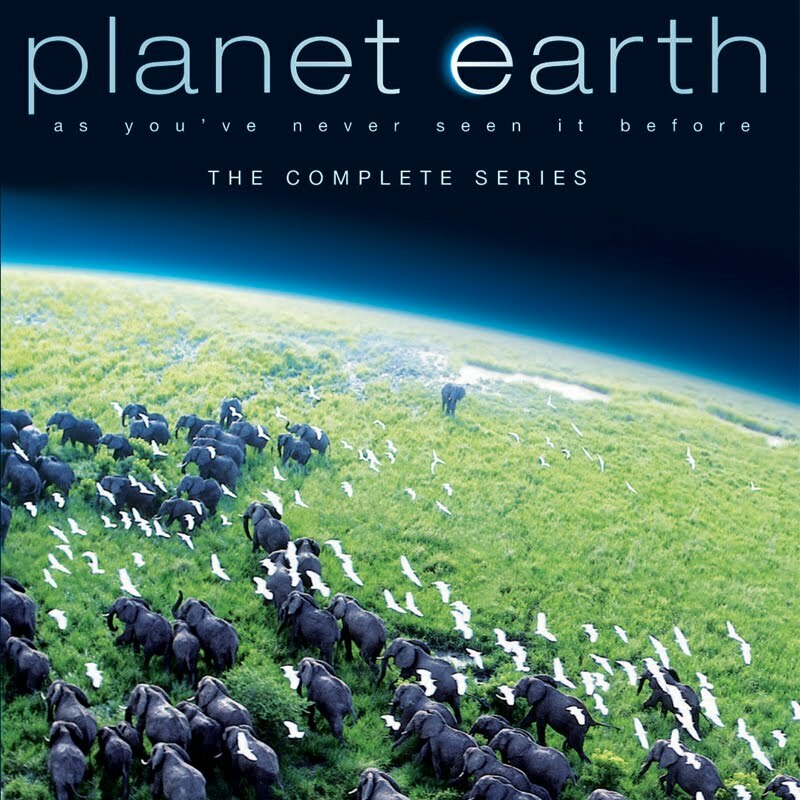 Planet Earth, a BBC/Discovery co-production, aired on the Discovery Channel in 2007. It is the must-see precursor to the highly anticipated BBC nature series Life, currently airing on the Discovery Channel and releasing on DVD June 1, 2010 from BBC Video. Want more Planet Earth? The whole series is available for instant download on iTunes. Go behind-the scenes with the all-new playlist, The Planet Earth Diaries ($4.99/Playlist; 99¢/episode). Here you’ll find a total of 110 minutes (eleven 10-minute episodes) of footage detailing what the crew had to endure in order to capture some of the most enthralling moments of the series. Complement Planet Earth with other BBC Earth series such as Blue Planet , and Yellowstone and Galapagos, both available in HD. Join the conversation on Twitter using the #planetearth hashtag! Thanks to American Pop Social Media Marketing for informing me of this special offer. I received the same free download for my post. Come celebrate Kroger National Kids & Pet Day on April 26th. Kroger is reaching out to bloggers and its family of stores to celebrate by sharing fantastic information about pet safety, selecting the right pet for your family, and making sure your family’s animal friends are taken care of. Pets are such an important part of our families, and making sure that they are happy and well cared for is a huge responsibility. Everything from finding the right pet to making decisions their health and well-being is a major undertaking that can impact the whole family. 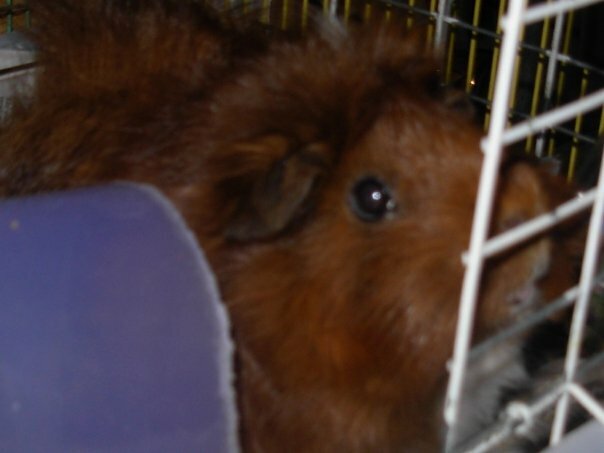 Our family went for over 5 years with guinea pigs. They can be very good first pets. Most of them love attention. We finally got a kitty this past December. I think by the 2nd week the girls realized that the kitty is fun but it is also work! We found that it is very important to give your children responsibility in raising their pet. Pets can also be costly when it comes to medical procedures. Did you know that you can get Pet insurance? PetFirst is Kroger's pet insurance. Offered through PetFirst, Kroger pet insurance policies cover routine care and medical procedures for dogs and cats, and is available at more than 2,400 stores in the Kroger family including City Market, Dillon’s, Fred Meyer, Frye’s, King Sooper, Owen’s, Pay Less, QFC, Ralph’s and Smith’s. In addition to being available in-store, Kroger’s pet insurance can be purchased online at http://www.krogerpersonalfinance.com/pet-insurance/. Kroger’s pet insurance works at any veterinarian nationwide, with reimbursement typically occurring within two weeks. Coverage starts as low as $9.95 per month and right now, individuals who purchase online can save $10. Do you have health insurance on your family pet? Why or why not? Are you looking to find a family friendly dogs for your family? Cocker Spaniel – These lap dogs are sensitive and sweet and enjoy the attention of children. Cocker Spaniels are obedient with training and friendly around people. Pug – This affectionate breed loves being part of a family. Outgoing and mischievous, they make playful companions for children. Golden Retriever – Similar to Labs in personality, Goldens are mild mannered and enjoy being around families and other people. These dogs are easy to train are gentle with children. Basset Hound – This breed is good with children of all ages. They are known for their docile nature and gentleness. Their long backs need to be supported when they are picked up, and an eager child can accidentally injure them. Teach your children to pet softy, stay away from food dishes, toys and bones, and not to startle your dog or cat when it is sleeping. Keep babies and toddlers at a level higher than your dog. Dogs perceive height as representative of their hierarchy. Keep your children off the floor when the dog is in the room. Don’t give your dog toys that resemble your children’s toys or clothing. Stay away from fabric stuffed dog toys that resemble your child’s stuffed animals. Involve your child in your dog’s care. Even just the presence of your child in the same room while your dog is receiving his favorite things or activities can help build a positive association to children. To enter- Tell me if you have a pet. If so tell me something about your pet! If you don't have a pet tell me why not! BONUS entries- Do all, one or some! Up to you! "Come celebrate Kroger National Kid & Pet Day with a $20 Gift Card Giveaway #pethealth #giveaway "
5) Do you have pet insurance? Why or Why not? Leave a comment for 1 entry! For more information on family friendly breeds or additional tips on teaching your children about pet safety, visit Kroger’s Pet Health blog. 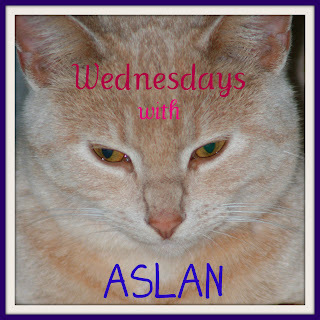 For helping raise awareness of National Kids & Pet Day I was provided with a $20 gift card to spoil, Aslan our kitty and a $20 gift card to giveaway to a reader so that they could do the same by the Global Influence Network and the Kroger Co. The thoughts and opinions here are my own. Are you a fan of The View or General Hospital? I was involved in these two blog/twitter campaigns and I have a few goodies to giveaway! I'm not going to tell you what they are. They are collectible merchandise from these two companies. The winners will be surprised. After I pick the winners then I will show you the prizes! 1) Tell me if you are a fan of The View or General Hospital and then tell me something about the show. You can get 1 entry for The View and 1 entry for General Hospital! 2) One entry for each one of these you do or have done. Make sure to leave a separate comment for each one! Look to the right side bar to find these things- Follow my blog, Follow me on Twitter, Like me on Facebook, Follow on Networked blogs, Follow my RSS Feed. 3) Comment on any of my other blog post and or enter any other of my giveaways for 2 extra entries each! Unlimited! It's that simple!!!! Ends April 29th. Thanks to FSB Associates for the review copy. Below is information from their website on the book as well as my take on the book! Lumby's local newspaper is called, The Lumby Lines. The paper cracks me up with all the "tattle-tales" on the local residence and local animals! Someone reported that a bicycle was missing. Then it was reported that a moose was spotted with a bicycle stuck in its antlers. It was reported that a pig was flying through town with 9 helium ballons tied to it. I love Hank, the flamingo statue, that gets dressed up by someone to match what is going on in town. The story reminds me of one large family! You have the good, the bad and the ugly! Most families stick together when times get rough and when there is a tragedy! That is what happened in this small, quirky, quiet town. A young "city folk" couple buys property in the town and works to restore a historical buidling, The Montis Abbey, that was damaged by a fire. The story is of the trials that they go through moving from city to country life. It truly suits them and then become a big part of this community as well as neighboring communities. The Monks of Montis Abbey reside in another Abbey. They are drawn back into helping Mark and Pam restore the Abbey into an Inn. To my surprise the back of the book contains several recipes! One of them, 40 Clove Roast Chicken, is on my list to make real soon! The art work in the book is illustrated by the author's husband, Art Poulin, a rural folk artist. It is beautiful! You can clearly see yourself as a part of this community. I love warm and inviting books! This book as well as the other books in the series is a perfect read for young adults and up! Gail Fraser was born and raised in Rye, New York, and attended the Rye High School before continuing on to major in English and receive an AA from Colby Sawyer College. Gail then studied at the University of London before returning to Skidmore College where she earned her BA in English Education. She completed her MBA at the University of Connecticut, with graduate work done at Harvard University. Prior to changing her life and becoming a novelist, Gail had a successful career in 'corporate America' holding senior executive and upper management positions in several Fortune 500 and start-up corporations, and traveling extensively throughout the world. In addition to living throughout the east coast from northern Vermont down to central Florida, Gail also lived in Colorado, Montana and Oregon for several years. Gail and her husband, artist Art Poulin, are building their own Lumby on Lazy Goose Farm in rural upstate New York. Featured in several magazines and newspapers, Lazy Goose is a 40-acre gentleman's farm that is demarcated by a 200-year old stone wall, and has views of the Catskills, Adirondack and Vermont mountains. They share their lives with Yoda (a kind and gentle German Shepherd from New Skete Monastery), Emma, Camille and several other two- and four-legged barn friends. Art spends his days in the studio while Gail writes in her library, overlooking their pond. Gail is also an avid stoneware potter, gardener and cook and enjoys tending to their orchard (recently decimated by the deer) and bee hives most every morning. Go visit the author at her website to learn more about this series, the town, the people and the fun!! I love watching the moose move all over the website! Time to get your Homeschool organized! Do you have a few areas in your home or school that could use a little bit of extra organization? I did & thanks to Christie Love with Simple Organized Sanity (SOS) for helping me in 3 trying areas of my Homeschool & Home! Homeschool families and other work from home parents have unique organizational challenges. It isn't always easy to work/teach where you live. If my home isn't picked up or organized then that affects my work and teaching. It goes both ways. It isn't always easy to have a picked up and organized home if your work or school area is disorganized. In January 2009, Christie took her dream career of professional organizing to a new level. 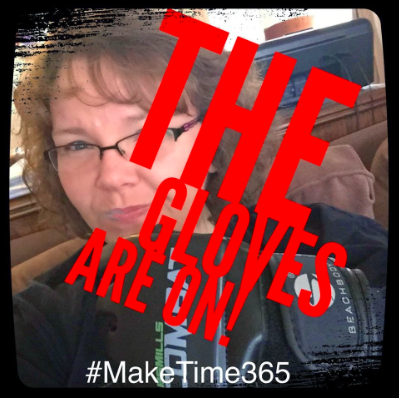 She was ready to get working to help give others a "real world" way of keeping their life organized. How did Christie help me? In email, Christie sent me a list of specific questions for me to answer. She wanted to know what three areas of organization frustrated me and affected my homeschooling, other road blocks that I encounter and how long I've struggled with them. The next day, in email, she sent me an awesome Homeschool Planner Worksheet, and planned on using that as part of our discussion that next day via a phone call! She gave me dates and times to choose from to have her call me to discussion my "disorganization". During the 30-45 min. phone coaching call, Christie thoroughly went over the items on my questionnaire. She addresses each one with very helpful tips. Not only did she give me advice but she asked me each time "is this something that you think you will use or be helpful for your family". I enjoyed our time together on the phone. She gave me great advice on using the daily planner worksheet to keep track of the daily schedule and to keep that worksheet as part of the record of our school schedule. I also never liked not having my home all picked up, kitchen dishes done,etc before starting school. 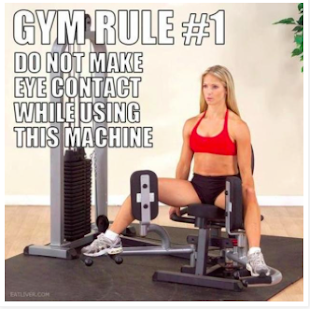 A lot of days I would just not do it but then got frustrated when people would stop in during the day. I like to have things tidy but struggled with get it all done before school started that day. Christie gave me sound, practical advise to get me organized each day! Two other areas where keeping on 11 year old organized. She would take forever to get her supplies gathered and was always loosing them. She suggested a basket method and to reward her when she was on time! Praise helped the child! She went from put the folders and books like this on the book shelf to this great basket where she can also put her pencils, pens,etc. The last area was a personal thing for me. I love coupons but I'm a very bad organizer of them. I shop ever 7-10 days or so for my planned out meals. I go through my coupons as I'm planning my meals. I had them clipped on a clipboard that just didn't work. They would fall off and were out of order so it took me longer than needed to write my list and get shopping! Christie suggest that I buy a small accordion folder to filed them away. I know I should have done it years ago! The folder is letter size so it fits easily in my bag if I need to take it with me to the store. So I went from clipboard to organized file folder! (OVER) Ok so are you ready to win your own personalized coaching call? One of my homeschool readers can win one of their very own! There is also a Twitter Party in the works for you to learn more about SOS and win prizes! 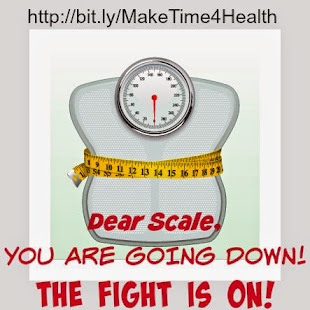 This blog post was part of a Blogger Select Blog program sponsored by The Product Review Place and Simple Organized Sanity! As part of my participation I received the coaching call. The review is of my own words. 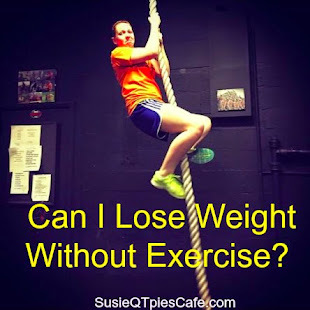 SOS is donating one free coaching call to one of my blog readers! To enter-You must go visit SOS and come back here and tell me something about her business. This has to be done to enter the giveaway. It is the only requirement! BONUS ENTRIES- Do you want more chances to win?? If so do as many as you want of these options! 2) Tweet this giveaway 2 entries per tweet and tweet as much as you like! Leave link in comments! "Enter to win a Free Coaching Call to get your Sanity Back http://bit.ly/aZpzYJ RSVP for the Twitter Party #GetOrganized "
4) One entry for each one of these you do or have done. Make sure to leave a separate comment for each one! Look to the right side bar to find these things- Follow my blog, Follow me on Twitter, Like me on Facebook, Follow on Networked blogs, Follow my RSS Feed. 5) Comment on any of my other blog post and or enter any other of my giveaways for 2 extra entries each! Unlimited! 6) Here are the other bloggers involved in SOS! Stop in and see what they have to offer, too! Go visit them and for each one come back and claim an extra entry each! I linked this up on 5/10/12 to Homeschooling on the Cheap! You should check out her homeschooling link up! Volunteer work can be very rewarding. If you find yourself in charge of volunteers think about these Top 5 tips to make volunteering easier on yourself and the others involved. 1) Encourage a set schedule for the volunteers. It is so much easier to remember your volunteer date and time if it is at the same time each week. You will have less schedule changes this way. Ever heard of Jooners? It will make your online life of scheduling volunteers a breeze! It is like passing a note around online! Jooners makes it easy for you with premade templates/sign-up sheets, too! 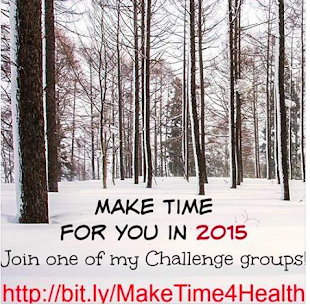 Encourage all your volunteers to access this group! You won't regret it! 2) Have a list of volunteer subs and give it to each volunteer. Make sure they are told to find a replacement if they can't make their scheduled time. This will save you, as a leader, a lot of time. 3) Keep your volunteer busy! When I give up my family time to volunteer I want to be kept busy when I am there. Have set task for volunteers to do. 4) Get input from each volunteer as to what their interest are and why they want to volunteer with this particular group. 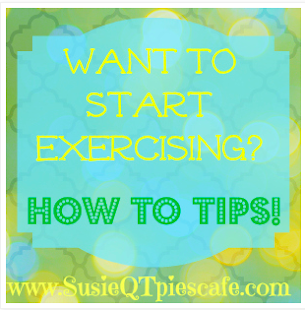 Work to assign them to areas of interest and strength! This will keep them motivated to continue working. For example if someone volunteers at an Animal Shelter and tells you that they prefer cats over dogs don't assign them to the dog grooming room! 5) Be kind and respectful to your volunteers! Send them a thank you card for their service once a year. Do consider having a volunteer luncheon once a year. Since volunteers do not get paid show them your gratitude at their help will continue to pay off for your organization. This blog post was inspired by TwitterMoms and Jooners who want to show you how to make it all simpler by hosting this blogging contest! 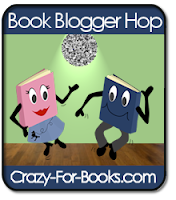 If you are a mom blogger, join in the FUN! This post is part of a blogging contest from the TwitterMoms community. There is a chance this post could be randomly selected to win a $50 Amazon gift card, so wish me luck! For more details, you can view the contest page here (http://icomp.ly/Jooners). 10 Little Things that Lead to a Happier, Healthier You! 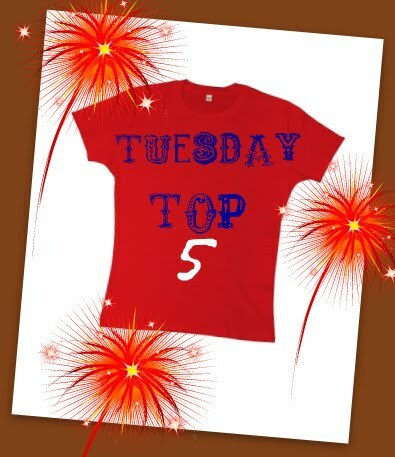 My Tuesday top 5 will actually be top 10 little things that you can do to help you be happier and healthier! If you stop and think about your every day routines I bet you can easily come up with 10 things all on your own. 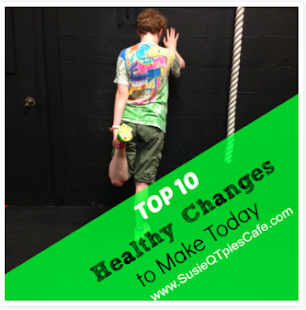 Just think of 10 things that you are doing that are not healthy and work to do the opposite! Start small and slowly add in new things each week! 2) I love family dinner time! Make sure you are having family dinner time as often as you can. Turn off the TV and music. Drop all cell phones on the kitchen counter. If they ring or vibrate during dinner, stop and look at everyone and crack up laughing. Guess which phone is ringing , who it might be and why do you think they are calling! 3) Spring time is the best time to get outside and plant some flowers! I don't have a very green thumb but I love tossing seeds into pots (with dirt) and watch for growth!!! It is a fun treat and really lifts the mood when something starts growing. Trust me something will. You'll either get the intended seeds to grow or weeds but something will start sprouting! 4) It makes me happy to bring the outside inside! Open up the windows and let the fresh air flow in. Turn off lights and sounds inside the home. Let nature bring in sunlight and sounds! 5) Keep the fridge stocked with easy to grab juice and water. I know this can be wasteful to some but for me it is great to have a drink handy to take to the park. 6) This is the time of the year to really get out to the store and market and but what is in season. Plan your meals around the healthy fruits and vegetables that will soon be coming in! Plan trips to strawberry & blueberry farms as well as peach & apple orchards. It is a fun way to spend time together and helps you appreciate where the food comes from. 7) Taking pictures of nature makes me happy! Use this time to get the kids outside and search for what is in the area you live in. They might not care that you are shooting photos of the birds and the bees because they will be running, jumping, hopping and skipping outdoors. 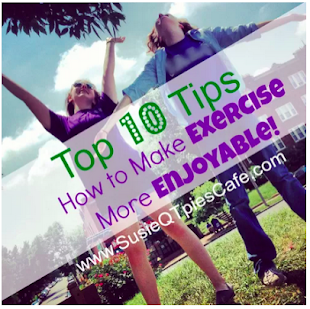 Keep a few balls and jump ropes handy for them to play with! 8) Blow bubbles and play with outdoor chalk is a great way to spend time outside. I love bubbles and chalk. They make me happy! 9) Do you have a relative that is house bound or in a nursing home? Bring them spring cards and flowers. Bring the outdoors inside for them, too! If they can go outside by wheel chair then take them out! 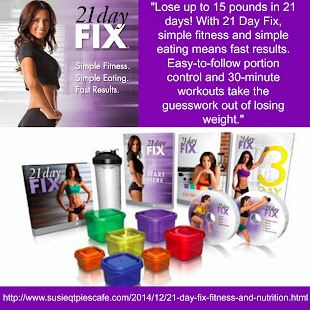 This will help them be happier and healthier as well as you, too! 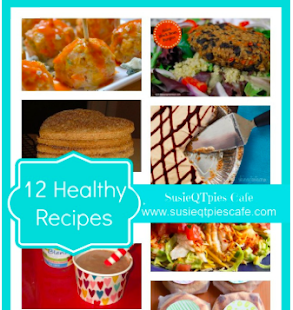 10) Search and find one new healthy recipe a week and cook it for your family. Let them help you! *Do you want a Juicy Rewards code? This exclusive code is TWMOM-READR (worth one Juicy Rewards point – that’s up to $5 in savings)! Check out Tropicana Juicy Rewards program and how you can redeem your rewards point! Tropicana Trop50 provides the goodness of juice with 50 percent less calories and sugars, and no artificial sweeteners. Trop50 is a part of Tropicana’s Juicy Rewards program, which gives consumers more from their juice by offering 20,000 ways to save on fun, healthy pursuits. With Juicy Rewards, the savings come easily – up to $15 for one carton of Tropicana Pure Premium and up to $30 in savings for one carton of Trop50! 1. Buy Tropicana, find the unique code on the package – either under the cap or on the back of specially marked Tropicana Pure Premium and Trop50 products. 2. Register at Tropicana.com, enter the codes to get points. 3. Redeem points for incredible savings on healthy fun. Tropicana Trop50® introduces two new flavors – Pomegranate Blueberry and Pineapple Mango – expanding its innovative line of juice beverages. At 50 calories, each eight-ounce glass squeezes in a full day’s supply of vitamin C and 10 percent of the daily recommended value of antioxidant vitamin E. Pineapple Mango also is a good source of potassium! TheTrop50 line also includes orange juice beverage varieties: Pulp Free, Some Pulp and Pulp Free Calcium & Vitamin D, which provides 35 percent daily value of calcium & 25 percent daily value of Vitamin D – an excellent source of both nutrients. I have not receive any compensation for this post. I wrote this blog post while participating in the TwitterMoms and Tropicana Trop50 blogging program to be eligible to win 6 free Juicy Rewards points and a $30 gift card. For more information on how you can participate, click here and read the below information. I did not know this about the Juicy Rewards program! I'm going to sign up for it! MOUNTAIN VIEW, CA —April 12, 2010—Tiny Prints (www.tinyprints.com), a leading online retailer of premium, personalized stationery, announces today that it is expanding its highly successful product and service line with the launch of Tiny Prints Greetings, a new line of stylish printed greeting cards users can personalize, schedule and send online. The new service combines the power of Tiny Prints proprietary web technology with the trendsetting design sensibility the brand has always delivered. Personalized Greeting Cards: Users will find the vast selection of stylish and creative designs that they have come to expect from Tiny Prints, only now they can also match their favorite designs with one of the thousands of verses from a library of options. Plus, since every aspect of a card can be personalized, users have the option to easily include a recipient’s name, edit the verse and upload photos to truly personalize their cards to express their exact sentiments. As a result, no two Tiny Prints cards will ever look exactly the same. A Better Way to Shop: Not only can users easily personalize their cards online, they can address the envelope, add a stamp and pay for the card with just a few clicks. Customers have the option of sending cards to themselves to sign or save even more time by having Tiny Prints mail their cards directly to recipients. The end-to-end process can be completed in minutes, and all cards can ship within 24 hours. Enhanced Convenience: For those who wish to avoid a mad dash to the store right before a special occasion, the service even allows users to set up automatic event reminders for birthdays, Mother’s Day, anniversaries and other occasions. Users can even schedule a queue of personalized greeting cards to be sent automatically up to a year in advance. For this convenient service with a personalized touch, users can pay per greeting card or sign up for a membership plan to enjoy special pricing on every card they send, starting as low as $1.99 each. As an added bonus for the launch, the company is waiving the first year's membership fee and offering the first three greeting cards absolutely free of charge when customers sign up. Six years ago, Tiny Prints set out to create a more thoughtful world by enhancing the tradition of receiving high quality stationery in the mail. With the introduction of Tiny Prints Greetings, the company is making it easier than ever to reach out on special birthdays, holidays or even just to say hello. Combining the convenience of online shopping and advance scheduling, Tiny Prints Greetings will help you never miss an important occasion again. Visit http://www.tinyprints.com/greeting for more information. Tiny Prints, Inc. is a web-based company comprised of two brands offering premium, personalized stationery, Tiny Prints and Wedding Paper Divas. Tiny Prints provides simple, modern and unique stationery from photo cards to personalized greeting cards to thank you cards and business cards. Offering exclusive designs from the nation's top designers, easy card personalization, a powerful preview engine and top-notch customer service and paper quality, their designs have been lauded by numerous television networks, publications and celebrities. Thanks to Global Influence I was included in on this Blogger Program. I will receive 15 greeting card credit for my involvement.